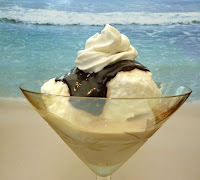 Today I made an ice cream sundae worthy of Chocolate + Coconut + Caramel Theme Week. 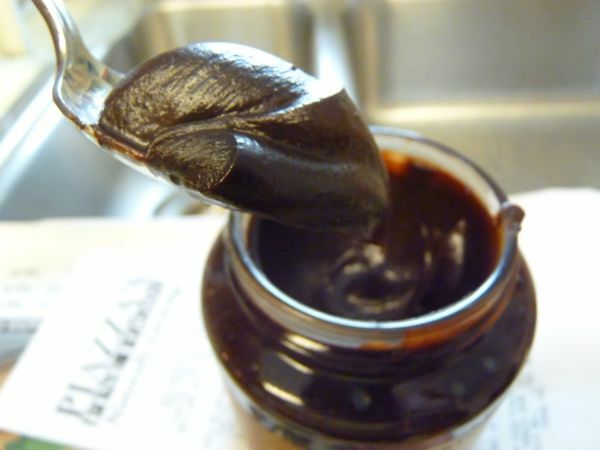 It was easy to imagine I was on a sunny, tropical beach somewhere, getting ready to make a toast to the New Year. I used two different kinds of Talenti Gelato for this dessert. 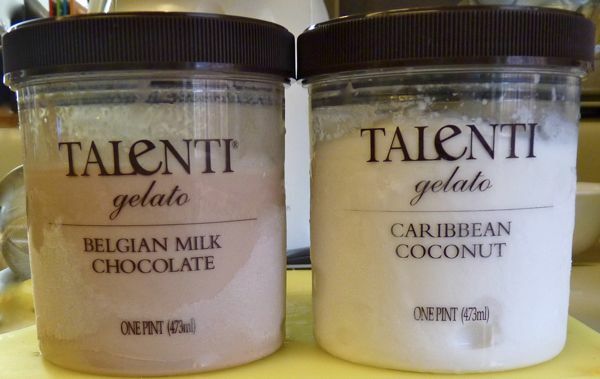 The Talenti Caribbean Coconut Gelato was quite good, but lacked the incredibly smooth and creamy consistency of the Talenti Belgian Milk Chocolate Gelato, due to the very finely ground coconut, and slightly lower fat content. (Note: Talenti also makes a Sea Salt Caramel gelato, but I couldn't locate this one in time for today, Day #7 of Chocolate + Coconut + Caramel Theme Week. This gelato was fine by itself. However, I decided to guild the lilly by topping these two flavors with some Dark Chocolate Sea Salt Caramel Sauce from Stonewall Kitchen. I think a sprinkling of lightly browned toffee coconut and nut bits on the side might have been a better choice. 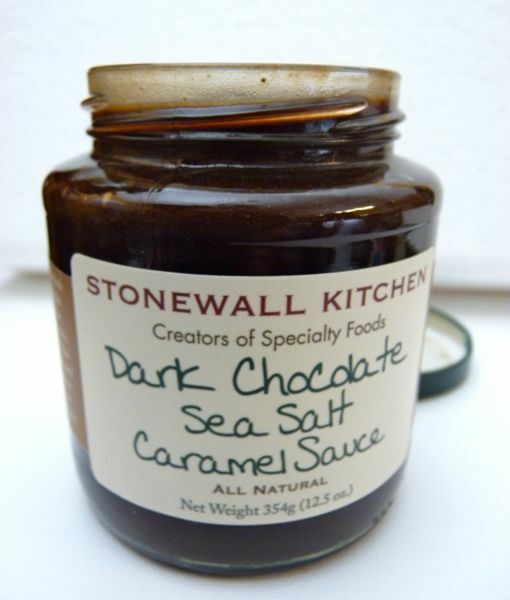 The Stonewall Kitchen chocolate caramel sauce would be good with vanilla ice cream with sliced fresh banana and chopped nuts. Happy last day of the year (2011) to all.